Falls are the most common cause of fatal and non-fatal injuries among older adults, according to the Centers for Disease Control and Prevention. 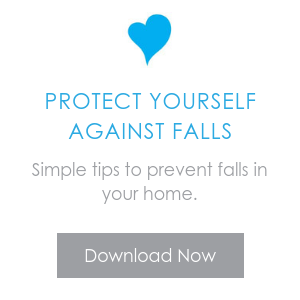 Thousands of American seniors perish as a result of fall-related injuries every year. Even when slips and falls are non-fatal, injuries such as hip fractures that impair mobility and create costly medical bills may result. It is important to take steps to prevent seniors from sustaining slip and fall injuries, especially during the winter. Organization can help to prevent slip and fall risks within the home. During the holidays, there are often decorations set up and family members that are not normally in the home. These factors can increase the risk of slips and falls. It may help to minimize the amount of decorations that are set up in high traffic areas of the home. Family members should be advised to help keep the home neat so that clutter does not cause slips and falls. If possible, holiday festivities should be held at another location so that seniors are not unnecessarily burdened trying to avoid obstructions. In areas where the weather is very cold, snow and ice can increase slip and fall risks. Ice and snow can make pathways slippery and create obstructions. Ice and snow may also cause tree limbs and other loose objects to fall on walkways, further increasing risks. To minimize these risks, it is important to have someone to depend on to salt walkways and clear outdoor obstructions. Home caregivers may be able to assist with these tasks or set up services so that driveways and walkways are cleared regularly. When traveling outside of the home, it is even more difficult to mitigate slip and falls risks such as ice and obstructions. It is not possible to ensure that all parking lots and walkways will be free from slip and fall hazards, so seniors should travel with a companion that can provide assistance with walking to and from buildings. Home caregivers may be able to provide transportation and mobility assistance to greatly increase safety. If seniors have mobility impairments, it is advisable to use mobility aids such as wheelchairs, canes, or walkers when traveling during the colder months. Even when mobility aids are not regularly used, it may be helpful to use these types of equipment for traveling over slippery areas. Caregivers can provide assistance with these mobility aids to make it easier to run errands or participate in holiday outings.